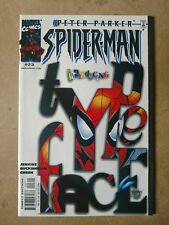 Peter Parker Spider-man#23 Incredible Condition 9.4(2000) 1st Type Face App!! The Amazing Spider-Man #700 2013 9.8 CGC Death of Peter Parker "Last Issue"
9 product ratings - The Amazing Spider-Man #700 2013 9.8 CGC Death of Peter Parker "Last Issue"
Amazing Spider-Man #22 & Peter Parker Spider-Man 9 10 (Lot of 3) Venom App. 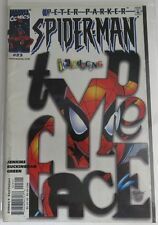 Amazing Spider-Man #700 (Feb 2013, Marvel) Death of Peter Parker! Combo Ship! This page was last updated: 19-Apr 02:02. Number of bids and bid amounts may be slightly out of date. See each listing for international shipping options and costs.